Meet VINCENT VAN DE WAAL, Vincent is a prominent artist hailing from Amsterdam. 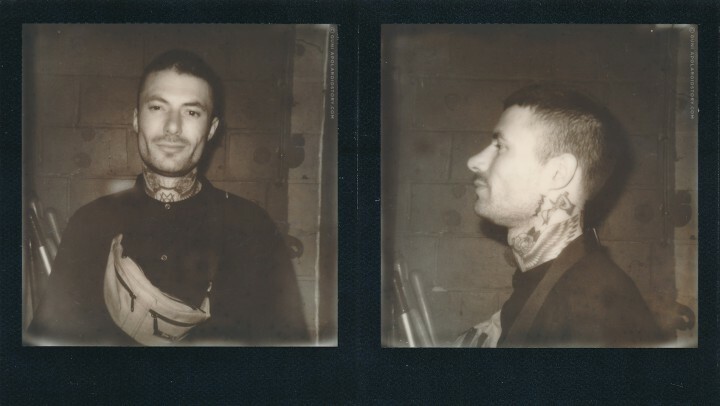 You might know Vincent’s work for PATTA (he is co-owner of the clothing line of the PATTA brand) or you might be a fan of his more raw uncommissioned work. Vincent’s work is mostly recognizable for its black and white aesthetics with bold, straightforward topics and a lot of symbolism. 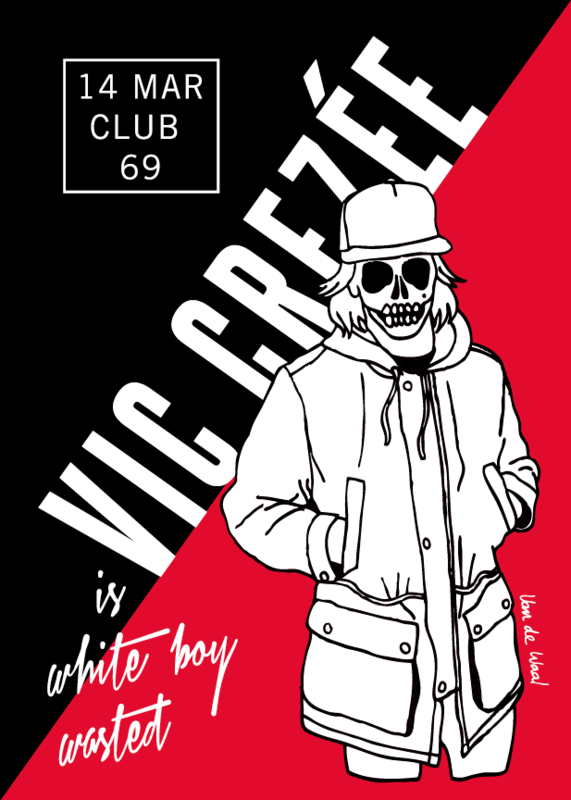 I met Vincent when I was promoting one of the infamous WHITE BOY WASTED gigs (with that notorious white boy called Vic Crezee) in Club 69, Ghent, Belgium. Vincent tagged along for the night (he designs the flyers for all WBW events and has a history in providing visuals for flyers in the Amsterdam nightlife scene). In between too much alcohol we took the snaps you can find above. Ps: There’s another WBW coming up. Illustration made by….yeah you guessed it.